Traveling to Tibet is an amazing experience, with the high mountains and the stunning lakes. 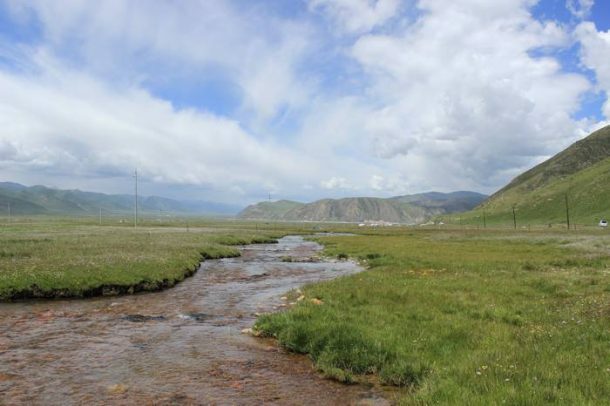 Tibet is known for being the major water source for billions of people throughout Asia, and with six of Asia’s longest rivers originating on the high-altitude plateau, drinking water in Tibet is never really much of a problem. 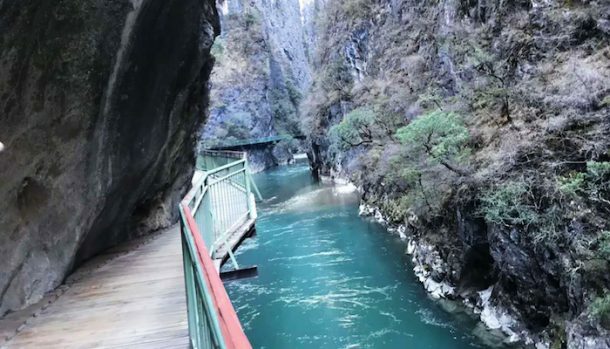 Aside from the many lakes and rivers, there are a huge number of freshwater springs and thousands of mountain glaciers, which makes this region one of the richest in the world when it comes to water resources. But “is drinking water safe in Tibet?” is a real deal question from the tourist who travels to Tibet. Tibet is the main epicenter for the entire South Asian water sources, and it is essential for all the countries surrounding the plateau that the water is running free, with no impediment to its continued flow through many of the other South Asian countries. Tibet has a huge abundance of fresh water, and the water that flows from the plateau meets the needs of more than 20 percent of the world’s population in China and around 46 percent of the global population from the major rivers that originate on the plateau, such as the Ganges, the Indus, the Brahmaputra, the Irrawaddy, the Salween, and the Mekong rivers. Tibet travel safety is a huge concern for the traveler as unlike other places, Tibet is quite different from other places due to its geographical features like altitude and climate. Among it, the drinking water is a major concern, due to high altitude destination we needs lots of water in our body. So we need lots of safe drinking water to refill our body. Is running water drinkable in Tibet? Drinking water is a major concern of every country in the world, and while some western and first-world countries do have drinkable tap water. These are few and limited to only the largest and most technologically rich countries. In places like Tibet, drinking water is not a major cause for concern, but due to change in environments, especially in the rural and agricultural areas where getting fresh drinking water can be a problem. The first rule in Tibet is that you NEVER drink the tap water. This includes brushing your teeth with it and using it as ice for cold drinks. Tap water in Tibet is untreated, so it is definitely not safe to drink. Natural pathogens are found in almost all of the standing and running water in Tibet, and only once it is boiled is it safe to drink. A river flow through town. Even in the high streams and springs in Tibet, drinking the running water without boiling or purification is not advisable, as it can cause severe problems with the digestive system. Western stomachs are not used to fresh spring water, and while it may be ok for some of the locals that have been drinking it their entire lives to drink, for foreign travelers, it is not going to be a pleasant experience. In Tibet, as with most countries in Asia, drinking water is bottled in plants and sold around the region. Bottled mineral water in Tibet is the major source of drinking water for most travelers to the plateau, and you will often find that your tour vehicle has several large 5-liter containers of mineral water for you to drink from. Most of the mineral water in Tibet comes from the natural glaciers that can be found all across the region. 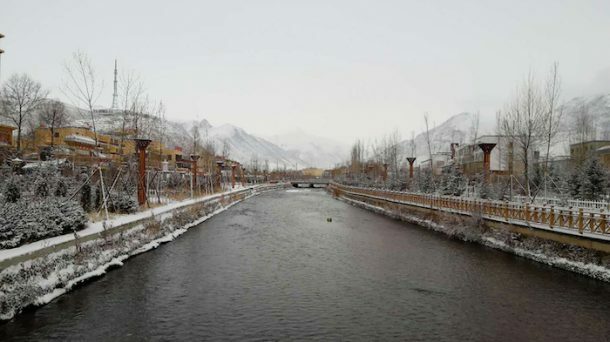 Bottling this natural mineral water has become a huge business in Tibet, and more than 28 companies now have licenses to produce bottled water from the glaciers and natural springs. Boiling water is the most common and often the cheapest way to get fresh drinkable water on the Tibetan plateau. And while the altitude of the plateau often means that the water boils at a lower temperature, by boiling it for several minutes, you can purify it just as well as if you were boiling it at sea level. As you travel on the plateau, you will often find that just about every place you will stay in has a constantly boiling urn of water, which you can get and use whenever you need. Hotels, guesthouses, hostels, etc. all have boiled water for drinking, and you can usually fill your water containers in the hotels before leaving for the day. However, for some reason, ice is normally made from unpurified water, which makes it unsafe to consume. If you are hoping for ice in your drink, make sure the hotel or guesthouse uses boiled water to make its ice, or you may regret it. The main problem when boiling water in Tibet is the lower boiling point, due to the higher altitude and less dense atmosphere. At these altitudes, water boils at around 90 degrees at around 3,000 meters, 85 degrees at altitudes of up to 4,500 meters, and at around 82 degrees at above 4,500 meters. At the summit of Mount Everest, at an altitude of around 8,848 meters, water will boil at around 71 degrees. The recommended boiling time for water in Tibet, for it to be truly drinkable, is around ten minutes, but if you have a thermometer handy, as long as it reaches around 70 to 85 degrees Celsius, it is normally safe to drink, according to the Wilderness Medical Society at America’s Princeton University. When boiling water across most of the plateau, once it has come to the boil, and is producing steam, then it is normally safe enough to drink. Bottled water is often believed to be expensive in Tibet, but this is far from the truth. In western countries, a 1.5-liter bottle of mineral water can cost from $1.75 in the United States and the UK to as much as $3.50-$4.50 in Europe. In Tibet, a 500ml bottle of water will cost you around 3-4 yuan (approx. 60 cents), and a 1.5 liter around 7.5-8 yuan (around US$1.20). This is a very small cost to pay for bottled water of such high quality on the Tibetan plateau. The same bottle, when bought in Beijing, can cost up to three times the price than in Tibet, which is mostly due to the export costs to ship it across the country. With such low prices, there is often no need to worry about boiling water, as it is a small price to pay. However, when traveling with us, all our tours have bottled mineral water in the vehicles, for your consumption whilst traveling. Is it possible to be sold unfiltered water in Tibet? Yes, there is a possibility that the water you might get would be unfiltered or not from a natural spring or glacier. There are those, though they are few and far between, who will try and pass off tap water as natural spring water. It is important to stay vigilant when traveling in Tibet and buying bottled water. All bottled mineral and spring water in Tibet comes in a sealed bottle, either with a breakable cap seal or a plastic seal over the cap to stop it being opened. If the water you are intending to buy does not have a proper seal, then you should avoid it, as it is likely to only contain tap water, which can be detrimental to your health. So stay safe and drinking lots of water. Enjoy your stay in Tibet.